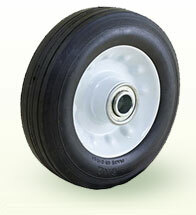 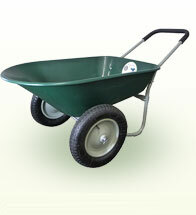 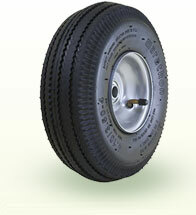 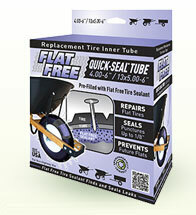 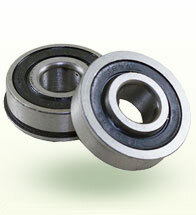 Flat Free Quick Seal Tubes are a hassle-free way to repair a flat tire. 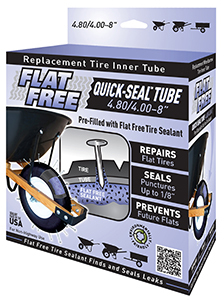 Quick-Seal Tubes are unlike your average replacement inner tube because they come pre-filled with Flat Free Tire Sealant. 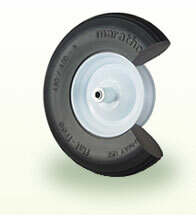 The sealant's synthetic fibers, adhesion agents, and corrosion inhibitors work inside the Quick-Seal Tube to find and seal punctures as large as 1/8 of an inch as soon as they occur. 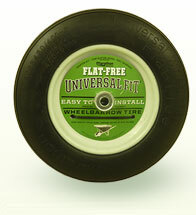 Flat Free Quick-Seal Tubes provide standard inner tube maintenance along with continuous protection against future flats.